Singleton Training Services Ltd are approved to offer the 2 day refresher First Aid at Work course. The First Aid at Work refresher course covers the RQF level 3 syllabus. It equips your staff to deal with a first aid emergency at work such as the need to give CPR, deal with a major injury or accident and hand over to the emergency services at the appropriate time. The course lasts for 2 days and includes a detailed first aid handbook for each candidate. 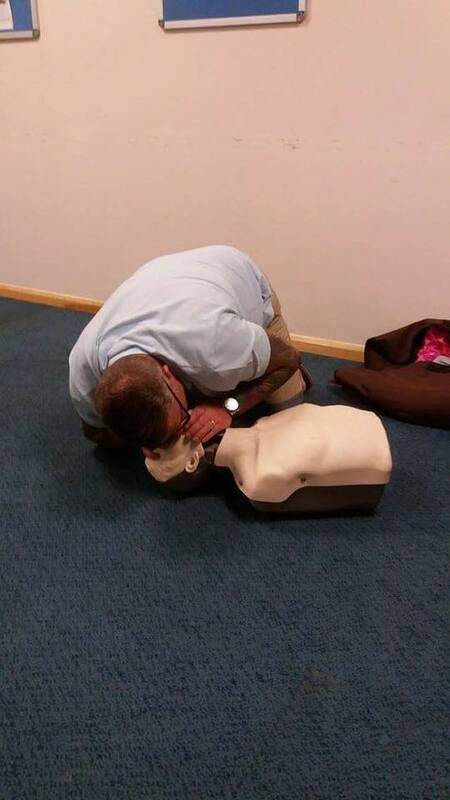 Students must have previously completed a level 3 first aid at work course to qualify for the refresher. New guidance on refreshers means that you may still complete the refresher even if your old certificate has lapsed. For guidance on this, please contact us at the office. Cost: 2 day course: £100 per person + VAT. In house course: from £950 + VAT please call for details.